At the company’s plant in Renton, Washington, where the plane is assembled, Boeing pilots ran through scenarios on a flight simulator that was transmitted live into a conference room where regulators and some 200 pilots from client airlines were gathered, according to Mike Sinnett, Boeing’s vice president for product strategy. The guests were able to request test simulations. Transportation Secretary Elaine Chao said Wednesday that she found it “very questionable” that safety systems were not part of the standard package offered by Boeing on its 737 Max jets. “It is very questionable if these were safety oriented additions why they were not part of the required template of measures that should go into an airplane,” she said in testimony before the Senate, where she was appearing to answer questions about her annual budget request. But Chao defended the decision of the Federal Aviation Administration not to ground Boeing’s signature plane after the first of two fatal crashes. “The FAA is a very professional, fact-based organization, and they don’t make decisions that are too hasty,” she said. Aviation authorities have fingered the software as a leading factor in the Lion Air crash last October. Investigators have drawn similarities between the flight data from that crash and the Ethiopian Airlines crash earlier this month that killed 157 people. On Wednesday, a Boeing official resisted sweeping change to their overall processes. “If you look at the performance of the system, it would indicate that we are continuing to learn and continuing to get better and better over time. And so right now, I would be very careful about indicting any part of that process until we know more from the specifics of these accidents,” the official told CNN. “Those reviews continue and I’m sure they will continue for some time but there’s nothing that we found at this point,” the official said. The official stopped short of saying that the update unveiled Wednesday indicated that the original software was inadequate. “That’s a conclusion that can only be drawn by the investigative authorities. What we’re saying is that we’ve found a way to make it more robust and we’re making that change now,” the official said. The software update will affect software known as the Maneuvering Characteristics Augmentation System, or MCAS, which is designed to automatically command a plane down if it senses an imminent stall. The most significant change to the MCAS software in the update is the addition of data from a second Angle of Attack (AOA) sensor, which measures the horizontal tilt of the airplane. In its first iteration the software only drew data from one of AOA sensor. The Boeing official on Wednesday defended the original use of only one sensor as in line with 50-year industry practices. Investigators in Indonesia have said faulty data from that sensor caused the MCAS system to repeatedly push the Lion Air flight down towards the ocean, in a battle with the pilots who tried to right the plane. Boeing also said Wednesday it would make an alert that displays if the two AOA sensors are contradicting each other standard on the 737 MAX. It had been included only as an option in the original model. The software has also been changed so that it does not repeat the downward pushing cycle in the event of an abnormal AOA reading, and will no longer produce an angle that can not be counteracted manually by a pilot. The plane’s manual, which had not originally included an explanation of the MCAS software, was revised after the Lion Air flight, and supplemental information will be added to overview the update to the system, Sinnett said. Software designers at Boeing developed the update to the system after extensive engineering analysis, design, and verification, another Boeing official said, and first submitted a proposed certification plan for the update to the FAA on January 21. Boeing is expected to submit the final compliance documents for the update to regulators later this week. Boeing pilots worked with the company’s software design team throughout months of production to incorporate multiple layers of protection in the event of sensor errors or other erroneous inputs. 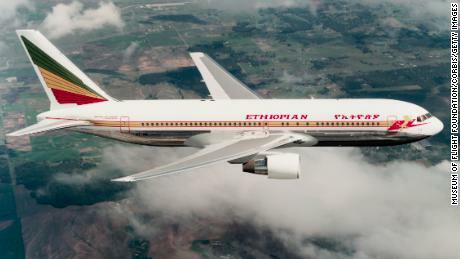 Boeing conducted an engineering verification flight February and a certification flight with the FAA on March 12, two days after the Ethiopian Airlines crash. Boeing only rolled out the software update now, after the second crash, because “we wanted to get it right,” the first Boeing official said Wednesday. Software updates to the plane will take about an hour, and pilots will have to have to complete a new, more rigorous layer of computer-based training before being allowed to fly the plane, Sinnett said. The original training on the 737 MAX consisted of a short, self-administered online course that made no mention of the new MCAS system and how to disable it in a situation like what the pilots on the Lion Air, and likely the Ethiopian Airlines flights, faced — prompting outrage from some pilots unions after the crashes. The decision to return hundreds of 737 MAX planes currently grounded around the world in the wake of the Ethiopian Airlines crash earlier this month will be at the discretion of each country’s aviation regulators. “Boeing is clearly committed to making the 737 MAX 8 safe again,” said David Soucie, a former FAA safety inspector and a CNN analyst. CNN’s Greg Wallace contributed to this report. Tennis pro’s dad in hospital? Or jail?